Mulethi is used in Ayurvedic medicine in tooth powders. It is a natural treatment to cough , mouth ulcers, constipation , acidity etc. Liquorice or licorice is the root of Glycyrrhiza glabra from which a sweet flavour can be extracted. The liquorice plant is an herbaceous perennial legume native to southern Europe and parts of Asia, such as India. 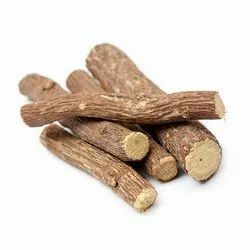 It is used to treat a wide array of illnesses including lowering cholesterol levels, healing respiratory tract disorders and boosting immunity levels.The principal constituent of Licorice to which it owes its characteristic sweet taste is glycyrrhizin. Commonly known as Licorice, which grows wild in South eastern Europe and South western Asia. A woody-stemmed perennial growing to 2 meters with dark leaves and cream to mauve flowers. The active constituent, glycyrrhizinic acid is extracted from the roots. Glycyrrhiza glabra is also known as Mulethi and Liquorice. The Liquorice Extract made available by the company contains Glycyrrhizin Up to 30%. Licorice Essence is widely used in a number of ayurvedic products. 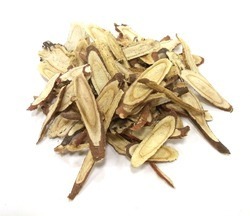 Apart from the regular pharma quality, we manufacture Glycyrrhiza Glabra extract exclusively for cosmetic use also.